While traveling to a particular country, it is imperative for you to be aware of the type of food and cuisine on offer. Moroccan dishes have a nice mixture of Arabic, Berber, and Mediterranean inspiration. Following are the dishes you will probably encounter while visiting Morocco. 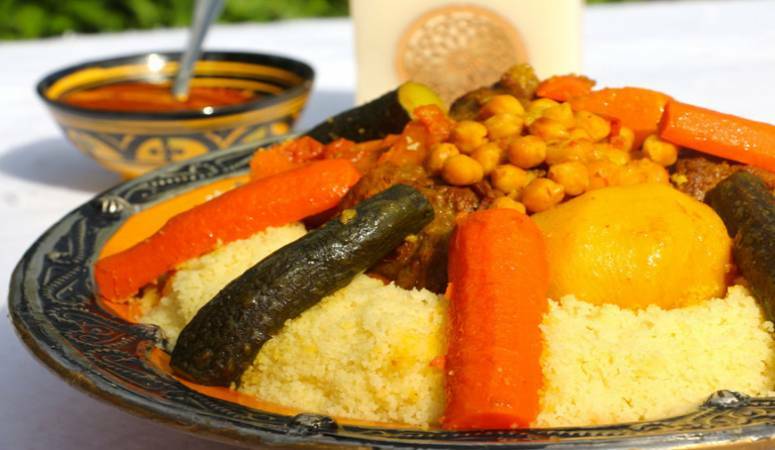 Moroccan couscous is considered as a national dish, and if you are looking for the traditional dishes of the country, then couscous would serve you ideally. Meat, various spices and vegetables are the chief and primary ingredients of couscous. All the ingredients are thoroughly steamed together. You can find this amazing delight at almost every restaurant in Morocco. 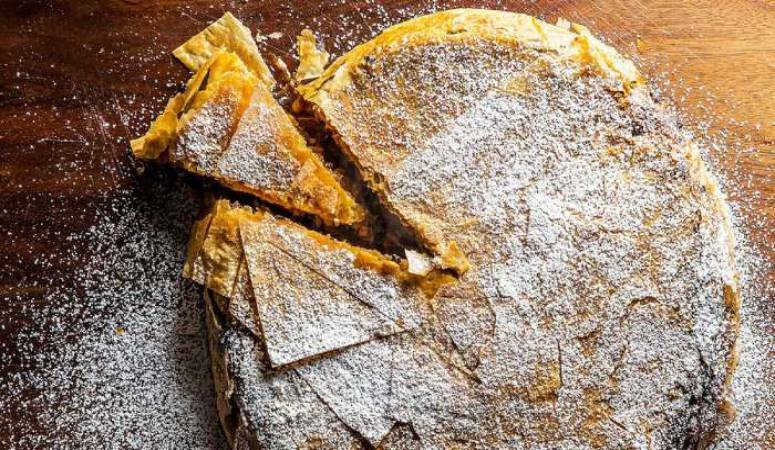 Commonly referred as bastilla, pastilla is like a pie containing fish, chicken or meat. The combination of parsley, honey, boiled eggs and almonds serves to be a treat for you. A crisp dough of pastille adds to the flavor of Pastilla, If you are on a dietary restrictioons, make sure to ask before you get served. Tagine is a special delight of Morocco. It is cooked over coals, which enhances its taste and flavor. Various types of tagines are available in Morocco, and it depends on the location and destination you are staying at. 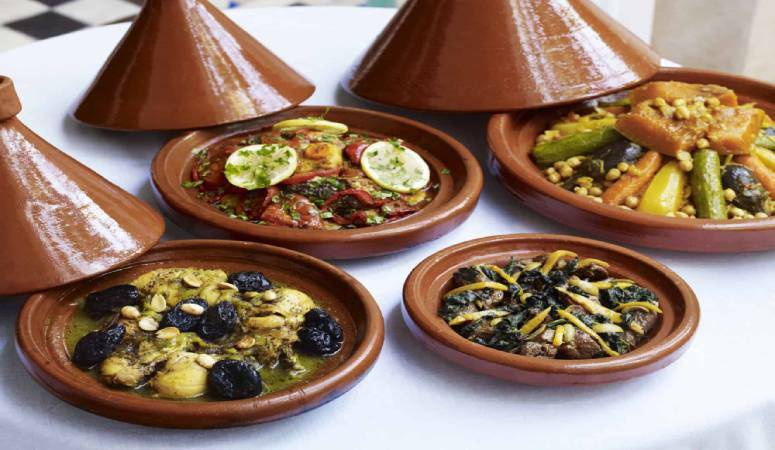 If you are looking for the best tagines in Morocco, then the southern part of the country has to be your destination for that. Mountainous regions of Morocco are also famous for the delicious tagines, which serves to be an ultimate treat for everyone visiting Morocco. The spice level in tagines changes from area to area, but the essence is the same everywhere. 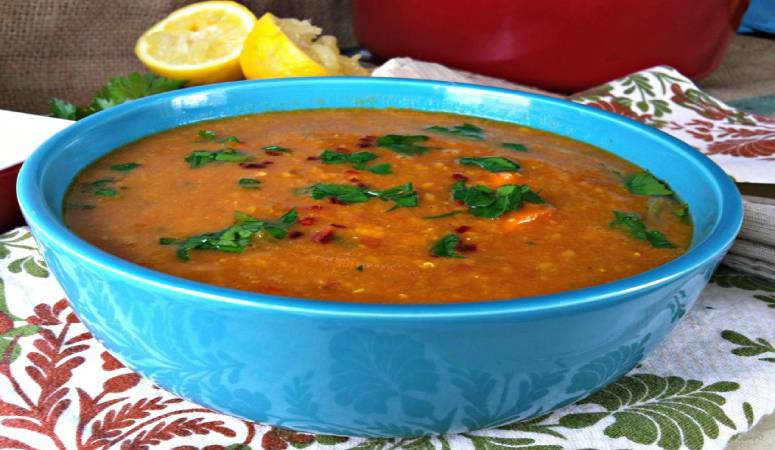 If you are fond of soups, then this Moroccan soup would serve your appetite ideally. This traditional appetizer is quite famous in Morocco. A base of flour and tomatoes makes it delicious and a first choice of people looking for an amazing and delicious cup of soup.